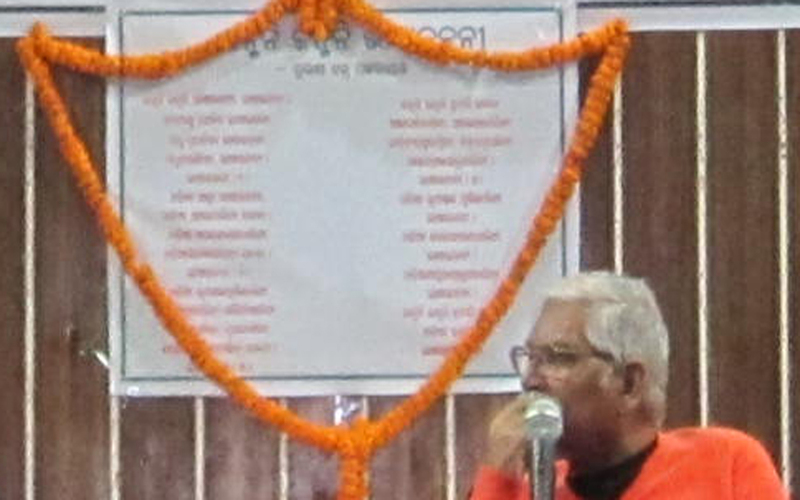 A documentation on Orissa’s unique language movement for governance of the State in mother tongue Oriya was to be released.The function commenced with floral respect paid to the Anthem of Bhasha Andolan – JANMANI JANMANI BHASHA JANANI and recitation of Vedic hymns and Orissa’s State Anthem – BANDE UTKALA JANANI, with Bhasha Andolan Chairman Subhas Chandra Pattanayak in the Chair. 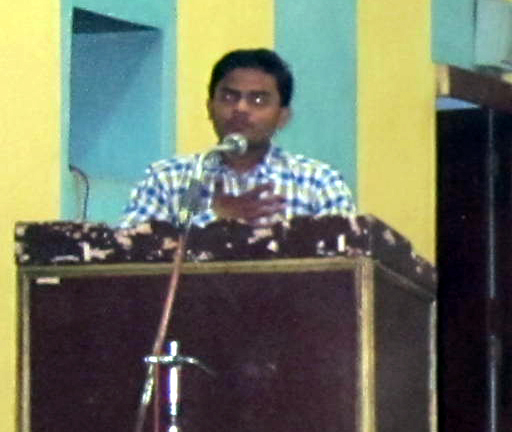 In releasing the book in the auditorium of Institute of Engineers, Bhubaneswar on Wednesday Sambad editor Soumya Ranjan Pattanayak said that Orissa would remain ever grateful to Sri Subhas Chandra Pattanayak for having researched into the cause of non-implementation of the Orissa Official Language Act and for locating the lacunae, making the State aware of the same for the first time. 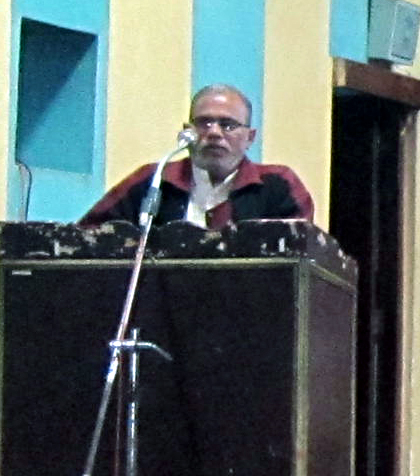 He thanked Sri Pattanayak for formulating the unique movement that forced the imprudent government to bend its head for the first time in its history as the Ordinance has incorporated the advice given by Sri Pattanayak in the ministerial committee and to fulfill which, Bhasha Andolan has been fighting through the unique black flag campaign. Even if the credit for this splendid achievement shall go to all the participants in the movement, it shall first go to Sri Subhas Chandra Pattanayak, its father. 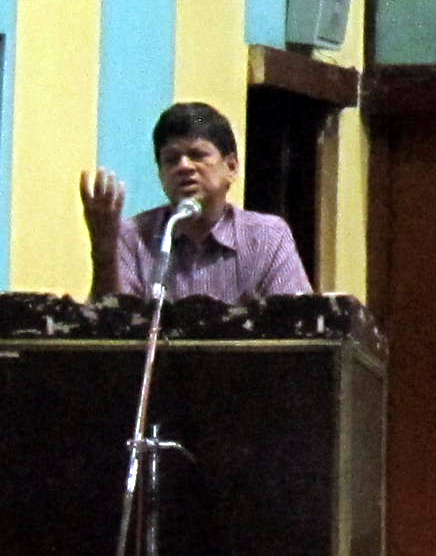 Now as the advice for creation of Rules has been incorporated in the Act, the Government should heed to the other justified demand of Sri Pattanayak for punishment to whosoever contravenes the Orissa Official Language Act, 1954, he said, underlining that, the people have the right to be governed in their mother tongue and the government cannot deny them this right. The book is captioned BHASHA PAI’N GANA O GANAMADHYMA (The People and the Press for the Mother Tongue). 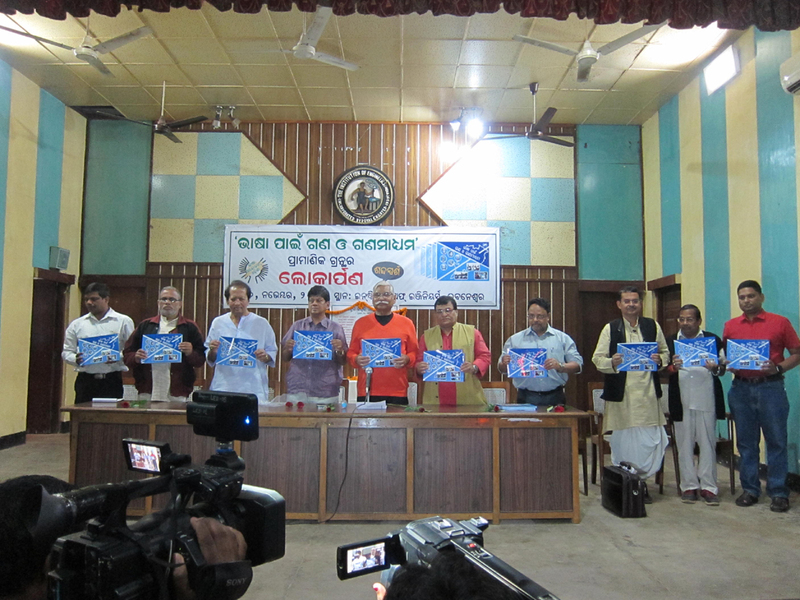 It is compiled by News Insight Editor Sagar Satpathy and published by Shabdasparsha, Bhubaneswar. It contains all relevant articles in support of the Bhasha Andolan published till August 9, 2016, the day of its publication and also the pictures of the daily black flag demonstration along with press clippings till then. 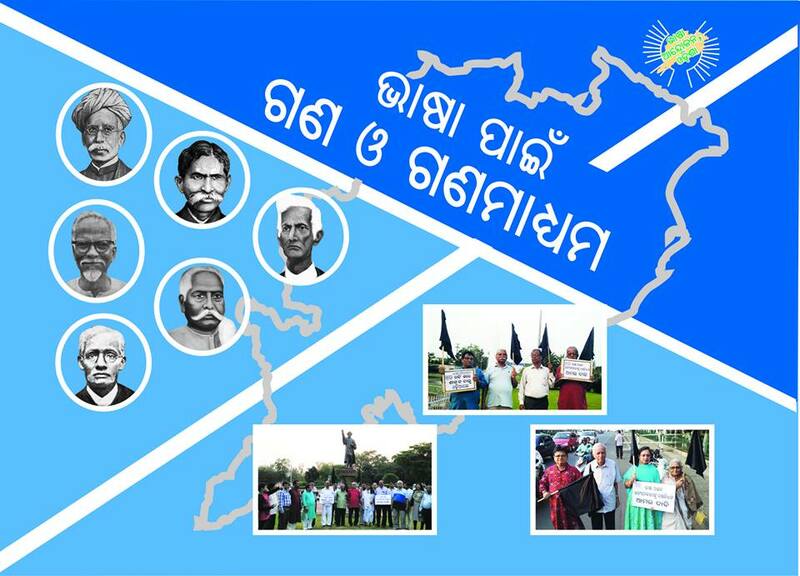 All, who raised the black flag – the flag of Orissa’s unique struggle for freedom from the English Raj – will find their names in the article ORIYA BHASHA O GANAMADHYAMA authored by the Andolan President Sri Pradyumna Satpathy, who leads the black-flag march every day, emitting inspiring pride over being an Oriya. This article has enhanced the historic value of the compilation, which is, according to the publisher, the first part of a series to be published on the movement. When due to this movement, the government amended the Act to acquire power to frame the Rules, it should have included the penalty clause in the said amendment, said Sri Soumya Ranjan Patnaik in his speech. Opining that the people in the rural Orissa need be told of the official treachery against their mother tongue, he declared to continue his full support to the movement, though he wished the movement to stop soon on success. “Bhasha Nahin Ta Vote Nahin” (No Vote, if no Governance in Oriya), should be the new call, he said. He admired the way Orissa’s language newspapers and electronic media have supported the Bhasha Andolan. Yet it is necessary that “all” media organizations should solidly stand with this unique movement, as this is essential for their own existence as Oriya Media. Noted thinker and columnist on contemporary issues, Maha Meghabahan Aira Kharabela Swain came down heavily upon the government for its inability to give governance in the mother tongue of the people. The Assembly should have a Language Committee to monitor the working of the Language Law created by the Assembly, he stressed. He also criticized the media for mindlessly deforming Oriya words while reporting or anchoring. Editors should pay serious attention this severe threat to the beautiful Oriya language, he warned. 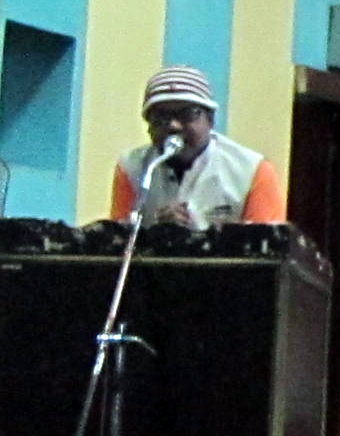 Reflecting on Orissa’s national anthem BANDE UTKALA JANANI, he suggested that the present shape of the Anthem, which consumes lot of time in recitation, should be reduced to a precise form in order to make it more acceptable. President of Bhasha Andolan, Subartta editor, Bagmi Pradyumna Satpathy gave details of how the idea conceived and advanced by Sri Subhas Chandra Pattanayak has unnerved the all powerful government for the first time. This movement is so unique that illustrious personalities of Orissa have participated in the daily black flag demonstration in support of the movement’s demand for governance of Orissa in Oriya. It shall continue till the government creates law for punishment to whosoever contravenes the Official Language Act, he declared. He emphasized that, Bhasha Andolan has created a world record in movements of this type and except a tiny number of black sheep who want to fetch personal gains from the language-consciousness created by Bhasha Andolan, the entire population of the province is supporting this movement. 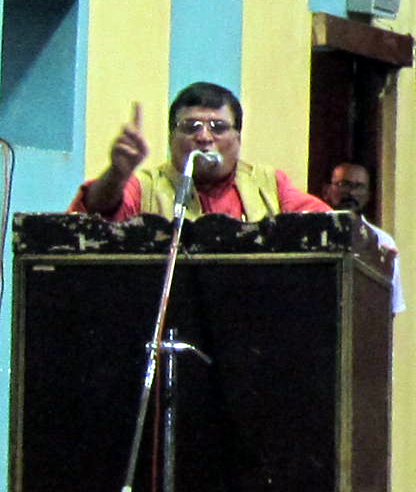 Poet and Advocate Gajanan Mishra, whose ‘Fast onto Death’ in July 2015 demanding official action against non-use of Oriya as official language in courts and offices in Orissa had forced the government to create a Ministerial Committee to work out how the Official Language Act could be implemented, also spoke on this occasion. A black flag holder of Bhasha Andolan for several times, Mishra alleged that every office work in English is illegal, as the English Language is not a legal language of India, having not been placed in the 8th schedule of the Constitution. 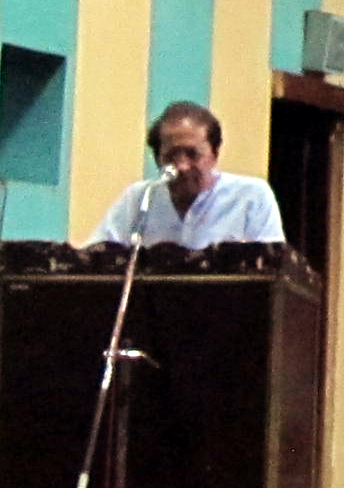 Eminent singer, Padmashree Prafulla Kumar Rath gave some anecdotes from his personal experience that showed how the incumbent chief minister is an embarrassment to language loving Oriyas. A black flag holder in both the phases of the movement, he expressed his complete support to the demands of Bhasha Andolan. He also opined that BANDE UTKALA JANANI should be shortened. 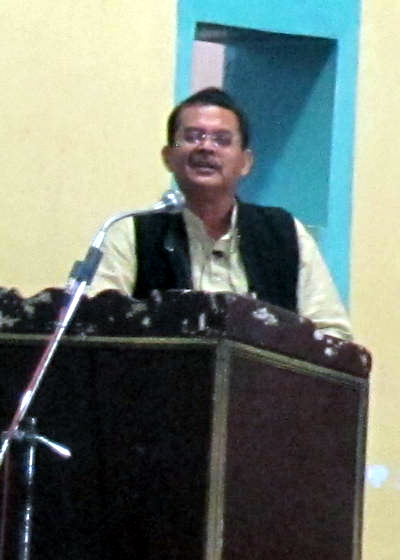 Eminent author and Editor of Pourusha, Asit Mohanty pledged that, he shall continue to support Bhasha Andolan physically and through his writings, the movement being entirely addressed to the unavoidability of mother tongue in management of the affairs of the people. 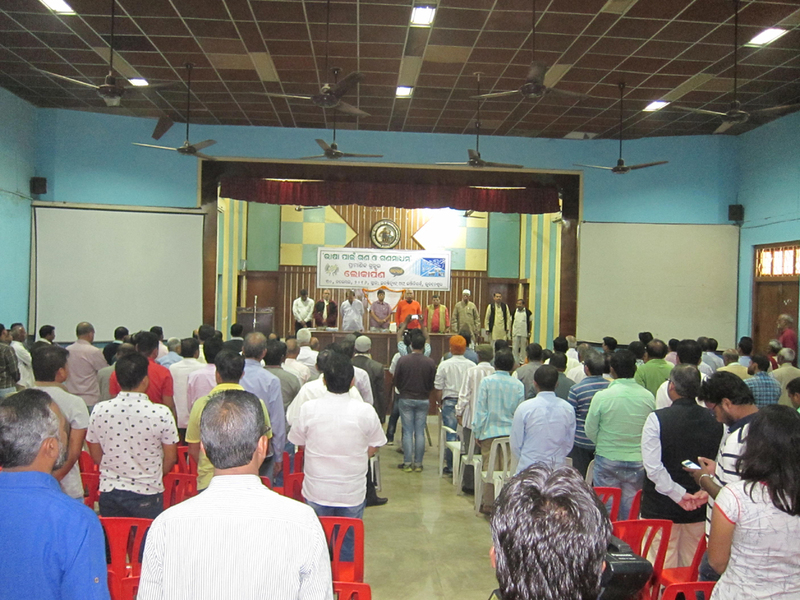 Author Govinda Bhuyan also pledged his support. To the Editor of E.P.A. 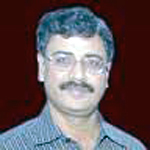 (Estern Press Agency) and its print editions, Anil Prasad Mishra, the Bhasha Andolan is sure to succeed, because it has partially succeeded in forcing the recalcitrant government to amend the Orissa Official Language Act for facilitating framing of the Rules, a provision which was absent in the Original Act and for provision of which the movement has been demanding. He cited the ancient Oriya axiom DHIRA PANI PATHARA KATE (Comparably similar to the axiom “Slow and steady wins the race”), to declare that the technique used by Bhasha Andolan is entirely flawless and absolutely effective. It has awakened the people of Orissa to the call of the mother tongue, he said while pledging his continuous support to the movement. 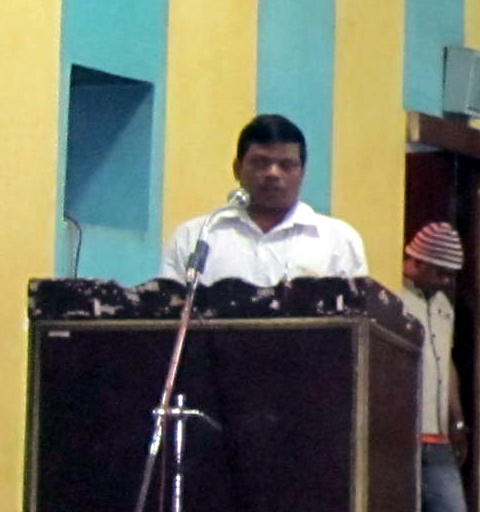 Student of Journalism Debasis Raut called upon the students and youth to join the movement in order to free the mother tongue from English yoke. Chairman of Bhasha Andolan Subhas Chandra Pattanayak welcomed the suggestions advanced by Sri Soumya Ranjan Patnaik and Sri Aira Kharavela Swain, both of whom, besides being media stalwarts, are equipped with law making experience as Members of Parliament and founders respectively of Ama Odisha and Utkala Bharata, the two political parties addressed to the cause of Orissa, declaring that the Andolan leadership shall soon cogitate on their suggestions with utmost seriousness. He gave an insight to the movement, describing it as an experimentation of mass power in activities of a few individuals dedicated to the cause of the people. Gandhiji’s method of non-violent peaceful movement, practiced successfully by Mandela and Martin Luther King is adopted here, though with a slight modification, he said. When Gandhji was using the masses as the base of his movement, the Bhasha Andolan is using a few individuals to awaken the masses, he maintained. Before Gandhi’s emergence, Indian masses were woken up to the need of independence from the British; but Bhasha Andolan is trying to wake up the people of Orissa to the need of independence from the language of the British, he clarified. This method is perfectly working, as people from all parts of Orissa are expressing their support to this movement. They are putting their support on records, in mainstream and social media, as well as by joining the black flag demonstration with prior appointments. During the period of this movement maximum numbers of poems have been written in Oriya in support of Bhasha Andolan, which is great evidence of effectiveness of the movement, he pointed out. He warned the Chief Minister with the peculiarity of Oriya disposition, which, on historical evidence he said, once aroused, never takes rest till the aim is achieved. The movement shall take rest only after the law is amended to punish whosoever contravenes the Orissa Official Language Act and tries to damage the primacy and paramountcy of Oriya in administration and management of the affairs of the people of Orissa, he declared. 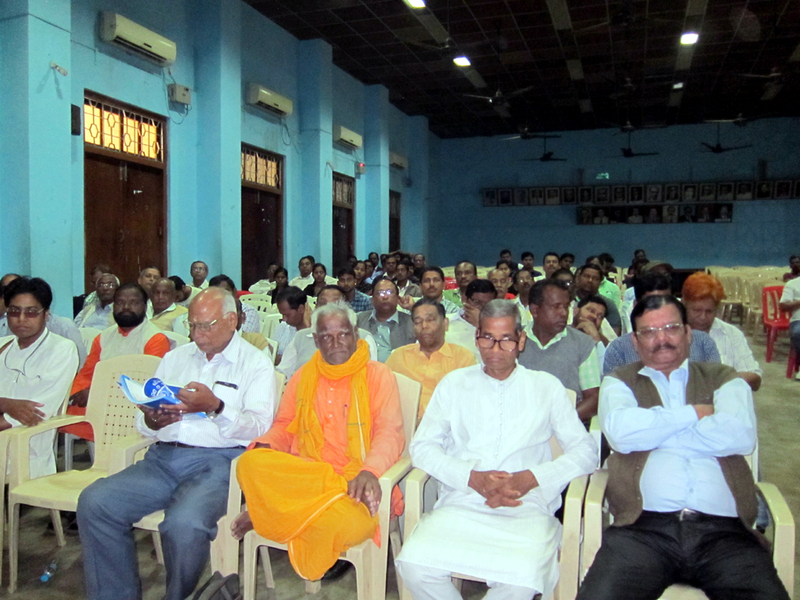 Eminent Editors such as Gopal Mohapatra (Prameya) and Manoranjan Mishra (Kanak News) were present on the occasion. Also present were eminent Oriya nationalist Debendra Prasad Das, Founder member of Bhasha Andolan and eminent columnist Tusarkanta Satpathy, Swadesh Kumar Das, Dr.Asit Das, Er. Chakradhar Mahanta, Govind Chandra Mahunta, Normal Kumar Behera, Vivekanand Dash, Lingaraj Mishra, Akula Chandra Nath, Bibhuti Patnaik, Nabakishore Pradhan, Ajay Kumar Jena, Commander Dasarathi Nandakishore, Bhagirathi Mahasuar, Sanjib Patri ,Natabar Khuntia, Ms. Sumitra Jena, Ms.Tanuja Das, Sabyasachi Satpathy, Dambarudhar Haransingh, Dr.Kulamani Nayak, Pradip Pradhan, Abdul Bari, Milan Kumar Paikray, Benudhar Harichandan, Ms.Rebati Nayak, Ms. Sunita Senapati, Pramod Dev,Ms. 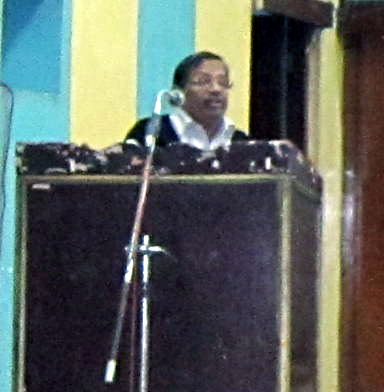 Anita Manjari Swain, Ruturaj Pattnaik, Ms. Bijaylaxmi Pradhan, Sangram Keshari Paikray, Pradip Kumar Sahu, Syed Abdul Kalam Azad, Ugrakantha Mishra, Ansuman Das, Niranjan Panda and Prof. Prakash Chandra Behera amongst others. 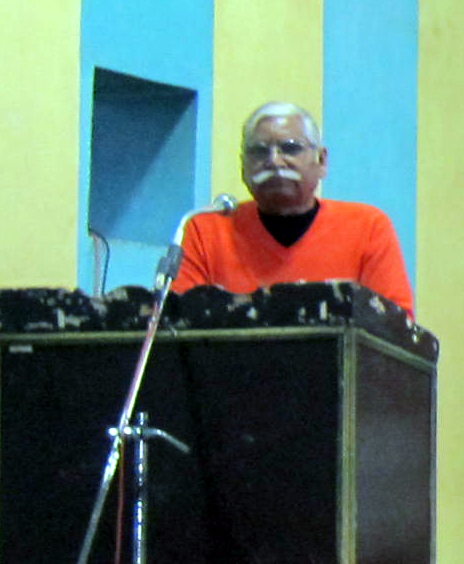 When Sharanarabinda of Shabdasparsha conducted the function, Convener of Bhasha Andolan Pabitra Mohan Maharatha proposed vote of thanks.